Like starting any career, there is a lot to learn when you're a day trading beginner. Here are some tips to steer you in the right direction as you start your journey. These tips will get you set up with the proper equipment and software, help you decide what to trade and when to trade, show you how much capital you need, how to manage risk, and how to practice a trading strategy effectively. As a beginner day trader, you may already have a market in mind that you want to trade. A day trader's job is to find a repeating pattern (or that repeats enough to make a profit) and then exploit it. Stocks are the shares of the companies, such as Walmart (WMT) and Apple (AAPL). In the forex market, you're trading currencies, such as the euro and US dollar (EUR/USD). There is a wide assortment of futures available to trade, and futures are often based on commodities or indexes. In the futures market, you could trade crude oil, gold or S&P 500 movements. One market isn't better than another. It comes down to what you want to trade, and what you can afford. The forex market requires the least capital to day trade. You can get started with as little as a few hundred dollars, although starting with at least $500 is recommended. Trading certain futures markets, such as the S&P 500 E-mini (ES), which is a very popular day trading futures contract, requires only $1,000 to get started. Starting with at least $2,500 is recommended, though. Stocks require at least $25,000 to day trade, making them a more capital-intensive option. While more capital is required to day trade stocks, that doesn't make it a better or worse market than the others. But if you don't have $25,000 to trade (and can't maintain your account above $25,000), then stocks likely aren't the best day trading market for you. If you have more than $25,000, then stocks are a viable day trading market. All markets offer excellent profit potential. Therefore it often comes down to how much capital you need to get started. Pick a market, that way you can start focusing your education on that market, and not wasting your time learning things about other markets which may not be of help in your chosen market. Don't try to master all markets at once. This will divide your attention and making money may take longer. Once you learn to make money in one market, it is easier to adapt to learn other markets. So, be patient. You don't need to learn all markets at once. You can learn other markets later if you desire. A computer or laptop. Having two monitors is preferable, but not required. The computer should have enough memory and a fast enough processor that when you run your trading program (discussed later) there is no lagging or crashes. You don't need a top-of-the-line computer, but you don't want to cheap out either. Software and computers are constantly changing, so make sure your computer is keeping up with the times. A slow computer can be costly when day trading, especially if it crashes while you are in trades, causes you to miss trades, or its slowness causes you to get stuck in trades. A reliable and relatively quick internet connection. Day traders should be using at least a Cable or ADSL type internet connection. Speeds vary across these types of services, so strive for at least a mid-range internet package. The slowest speed offered by your internet provider may do the job, but if you have multiple web pages and applications running (that use the internet), then you may notice your trading platform isn't updating as quickly as it should, and that can cause problems (see above). Start with a mid-range internet package, and try it out. You can always adjust your internet speed later if needed. If your internet goes down a lot, that's a problem. See if there is a more reliable internet provider. Day trading isn't recommended with a sporadic internet connection. A trading platform suited to your market and style of day trading. When you are just starting, finding the perfect platform isn't your goal. Download several trading platforms and try them out. Since you are a beginner, you won't have a well-developed trading style yet. Therefore, your trading platform may occasionally change throughout your career, or you may alter how it is set up to accommodate your trading progress. NinaTrader is a popular day trading platform for futures and forex traders. There are loads of stock trading platforms. Ultimately, try out a few that your broker offers and see which you like best. A broker. Your broker facilities your trades, and in exchange charges you a commission or fee on your trades. Day traders want to focus on low-fee brokers since high commission costs can ruin the profitability of a day trading strategy. That said, the lowest fee broker isn't always best. You want a broker that will be there to provide support if you have an issue. A few cents extra on a commission is worth it if the company can save you hundreds or thousands of dollars when you have a computer meltdown and can't get out of your trades. Major banks, while they offer trading accounts, typically aren't the best option for day traders. Fees are typically higher at major banks, and smaller brokers will typically offer more customizable fee and commission structures to day traders. As a day trader, both as a beginner and a pro, your life is centered around consistency. One way to generate consistency is to trade during the same hours each day. While some day traders trade for a whole regular session (9:30 a.m. to 4 p.m. EST, for example, for the US stock market), most only trade for a portion of the day. Trading only two to three hours per day is quite common among day traders. Here are the hours you'll want to focus on. For stocks, the best time for day trading is the first one to two hours after the open, and the last hour before the close. 9:30 a.m. to 11:30 a.m. EST is a two hour period you want to get good at trading. This is the most volatile time of the day, offering the biggest price moves and most profit potential. The last hour of the day, 3 p.m. to 4 p.m. EST is also typically a good time for trading, as some sizable moves occur then too. If you only want to trade for an hour or two, trade the morning session. For day trading futures, around the open is a great time to day trade. Active futures see some trading activity around the clock, so good day trading opportunities typically start a bit earlier than in the stock market. If day trading futures focus on trading between 8:30 a.m. and 11 a.m. EST. 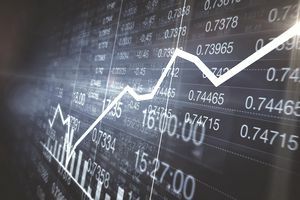 Futures markets have official closes at different times, but the last hour of trading in a futures contract also typically offers sizable moves for day traders to capitalize on. The forex market trades 24-hours a day during the week. The EURUSD is the most popular day trading pair. It typically sees the most volatility between 0600 and 1700 GMT. Day traders should trade within these hours. 1200 to 1500 GMT typically sees the biggest price moves, so this is a very popular and active time for day traders. During this time both London and the US markets are open, trading the euro and the US dollar. As a day trader, you don't need to trade all day. You will probably find more consistency by only trading two to three hours a day. You've picked a market, have equipment and software setup, and sometimes know what is good for day trading. Before you even start thinking about trading, you need to know how to control risk. Day traders should control risk in two ways: trade risk and daily risk. Trade risk is how much you are willing to risk on each trade. Ideally, risk 1% or less of your capital on each trade. This is accomplished by picking an entry point and then setting a stop loss, which will get you out of the trade if starts going too much against you. The risk is also affected by how big of a position you take, therefore, learn to how to calculate the proper position size for stocks, forex, or futures. Factoring your position size, your entry price, and your stop loss price, no single trade should expose you to more than a 1% loss in capital. Also, control your daily risk. Just as you don't want a single trade to cause a lot of damage to your account (hence the 1% rule), you also don't want one day to ruin your week or month. Therefore, set a daily loss limit. One possibility is to set it at 3% of your capital. If you are risking 1% or less on each trade, you would need to lose three trades or more (with no winners) to lose 3%. With a sound strategy, that shouldn't happen very often. Once you hit your daily cap, stop trading for the day. Once you are consistently profitable, set your daily loss limit equal to your average winning day. For example, if you typically make $500 on winning days, then you are allowed to lose $500 on losing days. If you lose more than that, stop trading. The logic is that we want to keep daily losses small so that the loss can be easily recouped by a typical winning day. When you start, don't try to learn everything about trading at once. You don't need to know it all. As a day trader, you only need one strategy that you implement over again and again. A day trader's job is to find a repeating pattern (or that repeats enough to make a profit) and then exploit it. You don't need a college degree or professional designation, nor do you need to read through hundreds of books, to do that. Find one strategy that provides a method for entry, setting a stop loss and taking profits. Then, go to work on implementing that strategy in a demo account. For forex and futures traders, one of the best ways to practice is using the NinjaTrader Replay feature, which lets you trade historical days as if you were trading in real time. This means you can practice all day if you want, even when the market is closed. No matter which market you trade, open a demo account and start practicing your strategy. Knowing a strategy isn't the same as being able to implement it. No two days are the same in the markets, so it takes practice to be able to see the trade setups and be able to execute the trades without hesitation. Practice for at least three months before trading real capital. Only when you have at least three months in a row of profitable demo performance should you switch to live trading. Stay focused on that single strategy, and only trading the market you picked, only during the time you have chosen to trade. Most traders notice a deterioration in performance from when they switch from demo trading to live trading. Demo trading is a good practice ground for determining if a strategy is viable, but it can't mimic the actual market precisely, nor does it create the emotional turmoil many traders face when they put real money on the line. Therefore, if you notice that your trading isn't going very well when you start to live (compared to the demo), know that this is natural. As you become more comfortable trading real money, increase your position size up to the 1% threshold discussed above. Also, continually bring your focus back to what you have practiced and implementing your strategies precisely. Focusing on precision and implementation will help dilute some of the strong emotions that may negatively affect your trading. Pick a market you are interested in and can afford to trade. Then, set yourself up with the right equipment and software. Choose a time of day that you will day trade, and only trade during that time; typically the best day trading times are around major market openings and closings. Manage your risk, on each trade and each day. Then, practice a strategy over and over again. You don't need to know everything to trade profitability. You need to be able to implement one strategy that makes money. Focus on winning with one strategy before attempting to learn others. Hone your skills in a demo account, but realize that it is not exactly like real trading. When you switch to trading with real capital, a bumpy ride is common for several months. Focus on precision and implementation to steady your nerves.